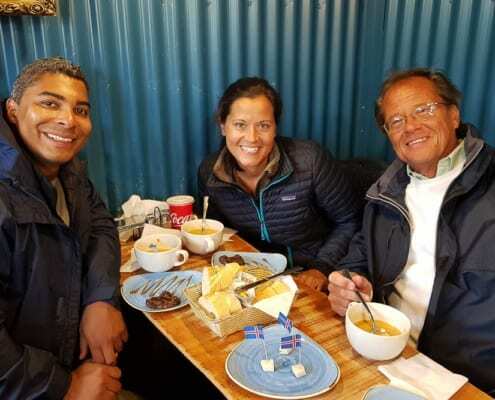 ​​One of the best things about doing a food tour is getting a sense of the history of the country while eating something delicious & interesting. All our guides are experts and graduates from the tour guide schools of Iceland but more importantly, they know how to entertain and educate at the same time. 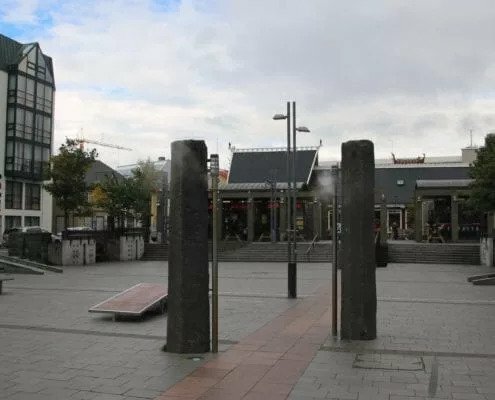 ​Our stops include a brilliant new Gastropub, the oldest restaurant in Reykjavik, the legendary hot dog stand, a favorite food market (if open), The authentic Seabaron and Icelandic Fish and chips. Make sure you arrive hungry! 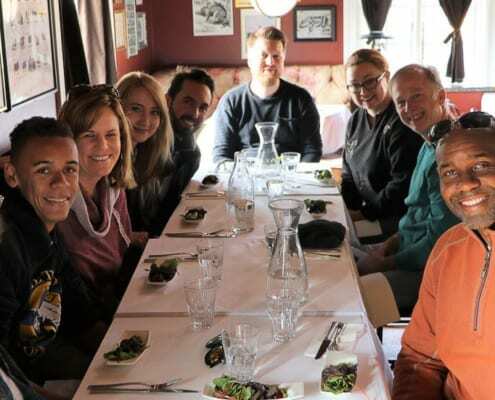 They say that sharing a meal is the best way to get to know each other, we know our Reykjavik Food Tour helps you get a deeper understanding on the history, culture and of course the cuisine of Iceland. If you’re a food lover, then an easy casual stroll around the old Reykjavik city center, sampling traditional food from Iceland is going to be your kind of a foodie adventure. You will learn what the Vikings ate and how Icelandic people have survived harsh winters thanks to our special cooking and preserving methods and then how our Icelandic Cusine evolved to present day as young chefs are doing modern twists with the special Icelandic ingredients. Our Reykjavik Food Lovers Tour samples many different Icelandic dishes; both traditional classics and modern favorites. We know the best spot to get the famous Icelandic lamb soup (just like mamma makes it), Skyr (a type of yogurt), The Icelandic hot dog and a delicious Icelandic lobster soup that some say is the best in the world, you will have to be the judge on that :). You can even try some fermented shark if you dare. It is an easy walk between the places and we make plenty of stops along the way. With no more than 12 people on a tour, you’ll be able to ask any and all questions about Icelandic food and culture, plus make a few new friends. And, you certainly won’t leave feeling hungry!